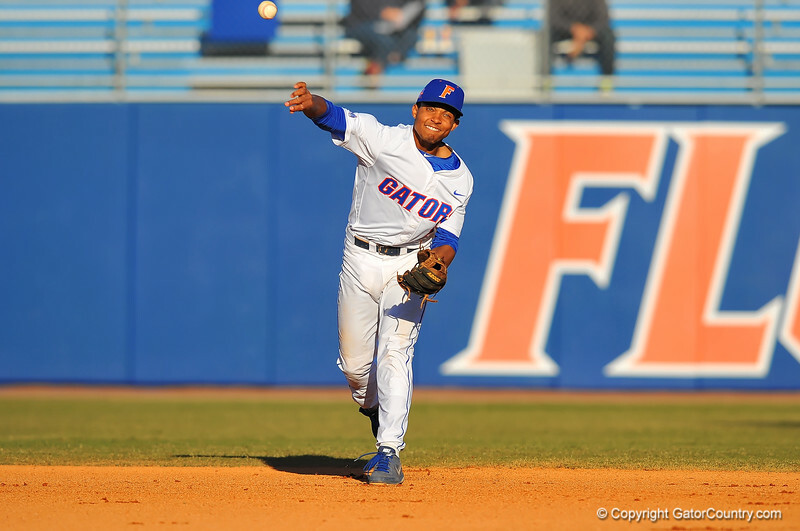 Florida SS Richie Martin rifles the ball to first base during infield practice. Florida Gators vs Arkansas Razorbanks. March 14th, 2014. Gator Country photo by David Bowie.